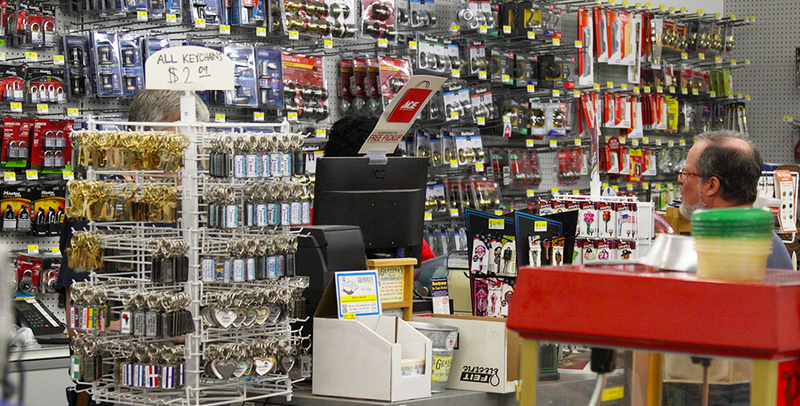 Need Paint, Key Cutting, Tools, DIY supplies and more, stop in, we have what you need! We fix all types of screens, storm windows and wood sash windows. We are able to custom make most types to replace lost or damaged frames. We can also order and repair double pane insulated windows. We offer Ace and Valspar paint that can be custom mixed on our computerized matching system. Bring in your own color ideas or choose from our hundreds of color options.